CANBERRA thursday: Sri Lanka were working to shrug off a series of injuries and off-field dramas, captain Dinesh Chandimal said Thursday, as they look to avoid a series defeat against Australia. The visitors have endured a turbulent tour so far, losing the first Test at Brisbane by an innings and 40 runs inside three days. They now must play the second and last Test in Canberra from Friday without pace duo Lahiru Kumara and Dushmantha Chameera, who have both returned home with injuries. With fast bowler Nuwan Pradeep and all-rounder Angelo Mathews ruled out before the series started, they face a struggle on a Manuka Oval pitch regarded as one of the best batting decks in the country. Replacements for Kumara and Chameera have arrived in the form of left-armer Vishwa Fernando and uncapped bowling allrounder Chamika Karunaratne. “We have to play positive and we need four bowlers to win a game,” Chandimal told reporters, while holding off naming his team until the toss on Friday. “We have to take more responsibility as a team. We have to score 300 runs batting first if we were to win a Test match. “This Test match I hope all the players will focus on what is required.” Keeping the focus on the match may not be easy, given the off-field disruptions. Apart from an ongoing corruption investigation into Sri Lankan cricket by the International Cricket Council, coach Chandika Hathurasingha was stripped of his team selection duties after Brisbane. Batting coach Jon Lewis, meanwhile, has taken leave for “a family matter” and there has reportedly been a distracting social media spat between the wife of one-day skipper Lasith Malinga and star all-rounder Thiasara Perera. Sri Lanka's form has also been poor. They came to Australia having lost their recent series against New Zealand 3-0. 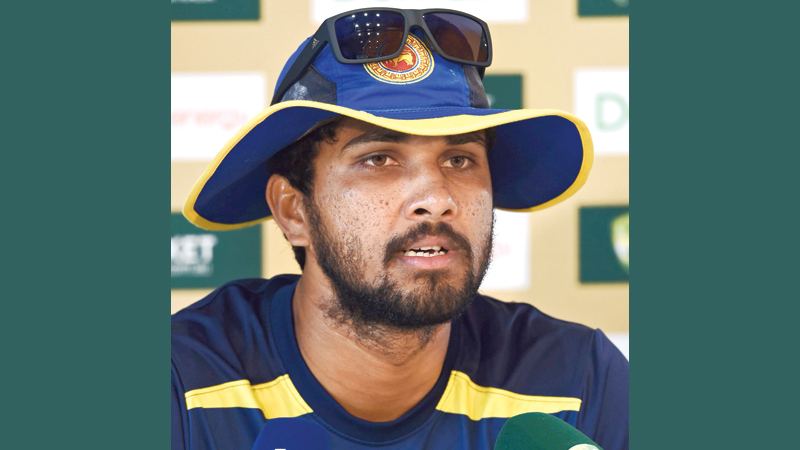 Chandimal said it was important to put all the noise aside.